In an abrupt reversal, Canadian company Teck Resources said it was responsible for discharging mining waste and effluent from its Trail smelter into the US and has agreed to move to phase two of a federal trial, which was supposed to begin this week. The company's subsidiary Teck Metals admitted to these facts as part of an agreement with plaintiffs, including the Confederated Tribes of the Colville Reservation and Washington State, who filed a suit in 2004 that aimed to force Teck to comply with US Superfund rules. The agreement from the company's subsidiary Teck Metals stipulates that "some portion of the slag discharged" from its British Columbia, Trail smelter into the Columbia River between 1896 and 1995, and "some portion" of the effluent discharged have been transported to and are present in the Upper Columbia River in the United States, said Teck Resources, one of the world's largest zinc producers. The agreement also stipulates that "some hazardous substances" from the slag and effluent have been released into the environment within the US. Despite the agreement, certain scientific, jurisdictional and other legal issues relating to the case remain unresolved, Teck said. The trial was set to begin today as an initial step in establishing clean-up costs, the WSJ reported. Under the agreement, proceedings will shift to phase two of the trial in October. A judge will eventually have to make a ruling on any liability for pollution damages or clean-up costs. However, even if a ruling goes against the company, a dollar amount for damages won't be set until at least 2015, the WSJ reported. Remediation will be delayed for years as well. Teck had previously argued the US Comprehensive Environmental Response, Compensation and Liability Act, also known as the Superfund law, did not have jurisdiction over foreign companies. 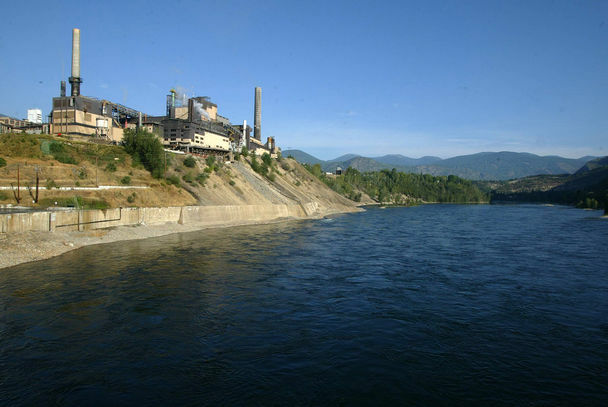 Teck says it continues to work the EPA, Washington and the tribes on studies in the Upper Columbia River. The company has commissioned a study by experts in natural resource damage assessment. Teck estimates, on the basis of that study, the compensable value of any damage will not be material. However, Teck admitted it might not be successful in its defense of the litigation.